- Over 10,000 people participated in the various activities. Showcases and the new trade fair received interest from the international professional audience as well as Medellin audiences. The trade fair saw exhibitors such as producers, digital distributors, instrument makers, equipment providers, institutions and non-governmental organisations. - Over 700 artists from 30 countries attended as delegates, participants in speed meetings or as showcases to get insights into the new tendencies of the industry, promote their musical work and network. - Over 2,500-speed meetings were accomplished this year, very tight and efficient, Circulart style! - A new feature: around 40 bands and stakeholders of the musical sector started a programme of professional capacity building which will be continued over the next months. A special alliance with the British Council facilitated the attendance of promoters and media from the UK, as well as conferences speakers such as Martin Atkins, a session musician with Nine Inch Nails, amongst many others. We also had a great party featuring various generations of DJs from the UK: legendary DJ Scratchy played in Colombia for the first time, and the young DJ joined forces with producer generation of the Busy Twist to make the climate very tropical. There was also a notable presence of some great Venezuelan artists, welcomed by Circulart as "brothers" during the opening concert " Venezuelano Hermano". 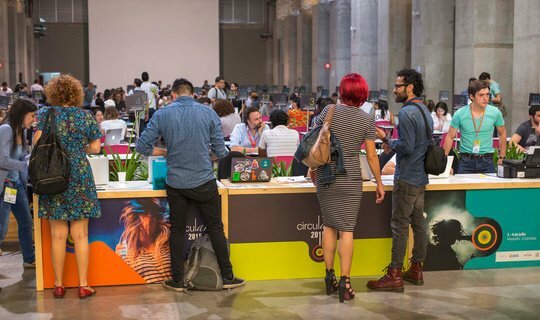 Like every year prior, Circulart was the platform to network: hosting many meetings of Latin American networks and associations like ADIMI, International Forum of Music Managers of Latin America, Network of Music Journalists, and more. 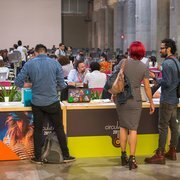 Mark your calendars for next year: Circulart will take place from the 7th to 11th November in 2019 Medellin. It is going to be the 10th edition, and it will be celebrated. Don t miss it!